One of Instabug’s core values is “Work Hard, Play Hard”. Our #BugSquad goes above and beyond to make sure that everything we deliver to our users is top notch. And while we work hard, we don’t forget to also have fun, and that’s where the “Play Hard” part comes in. You can see it in the little things, like people taking a break to play Fifa, ping pong, or foosball, or even watching a Friends episode on Netflix or an Adel Emam movie in between bursts of productivity in the office. And you can see it in the bigger things, like our biannual Hack Week when we pause work to focus on passion projects with people we don’t normally collaborate with, or our annual Instabug Retreat. 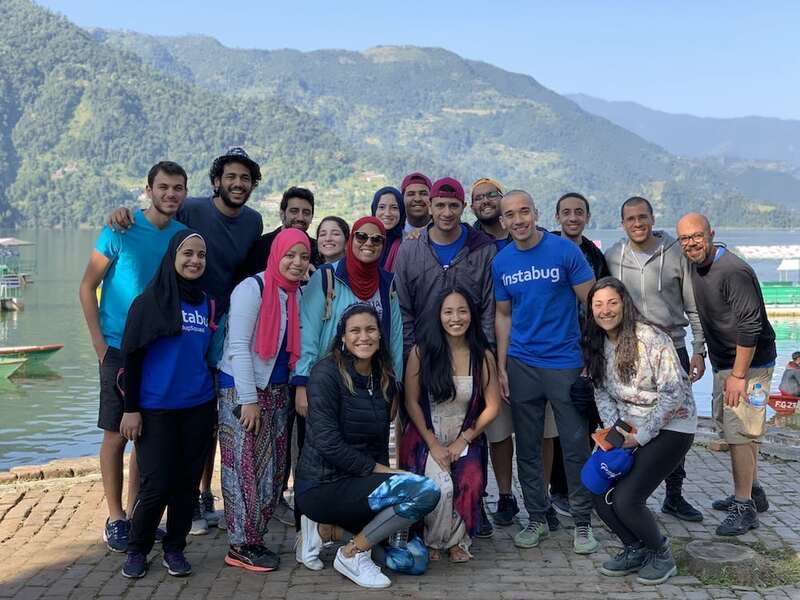 Instabug organizes a retreat every year for the entire company where everyone packs up, shuts down their laptops (unless there’s an emergency or user request), and heads to a new place to disconnect, recharge, and have fun as a team. 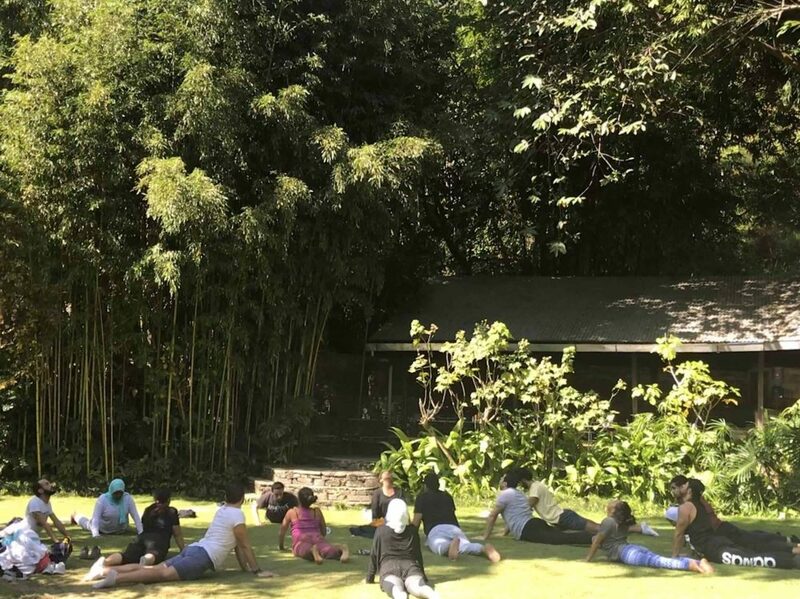 Company retreats differ from one team to another and can range anywhere from two days to one week or more, and take place anywhere from within the office to different countries. This year, we ventured out of Egypt for an experience of a lifetime in Nepal. Sarwat (Sales) and Othman (Design) checking in to our hotel in Kathmandu, Nepal. At Instabug, we do things differently. For our 2018 annual retreat, we wanted to head to a location that was uncommon and would pleasantly surprise our team. 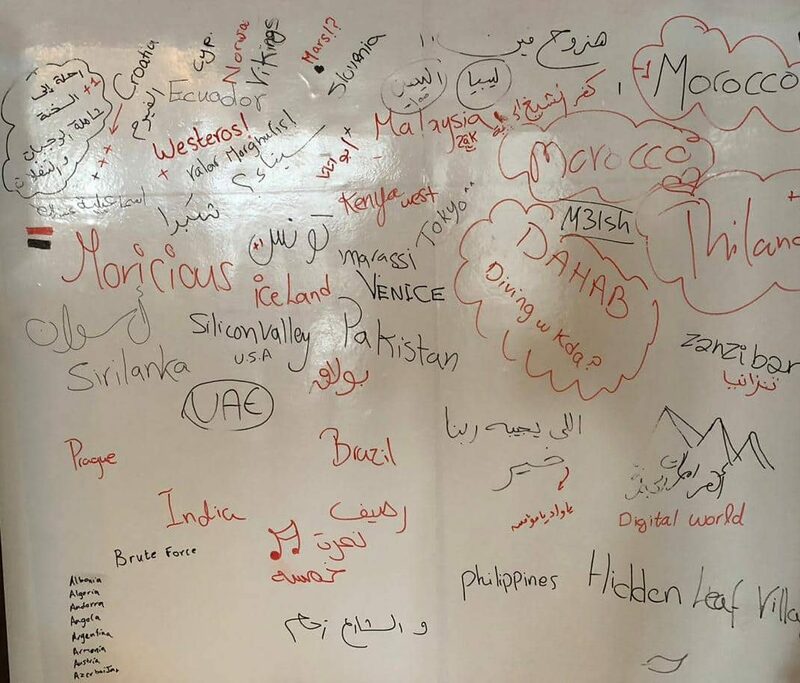 Before revealing where we were traveling, we asked everyone to guess the destination. People suggested everywhere from Silicon Valley to Westeros, but no one guessed that we decided to take the #BugSquad out of their comfort zone and travel to the heart of Asia in Nepal. The Nature: With over 200 lakes, multiple UNESCO world heritage sites, and countless mountain ranges, Nepal has some of the most beautiful scenery that you can come across in the world. The Culture: Nepal is a cultural hub. This culture is clearly expressed in music, dance, art, craft, food, drinks, and just about everything that you come across. It is a mixture of beauty, smells, sounds and celebrations all around that you can only experience there. 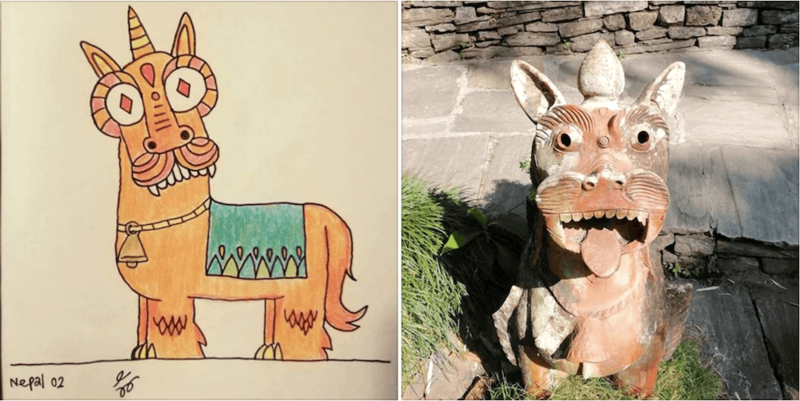 Illustration by Wilson (Design) of a lion-dragon hybrid statue in Nepal. The Adrenaline: Whether it’s rafting, ziplining, canyoning, bungee jumping, rock climbing, or trail running, Nepal is a dream for people who love outdoor activities. 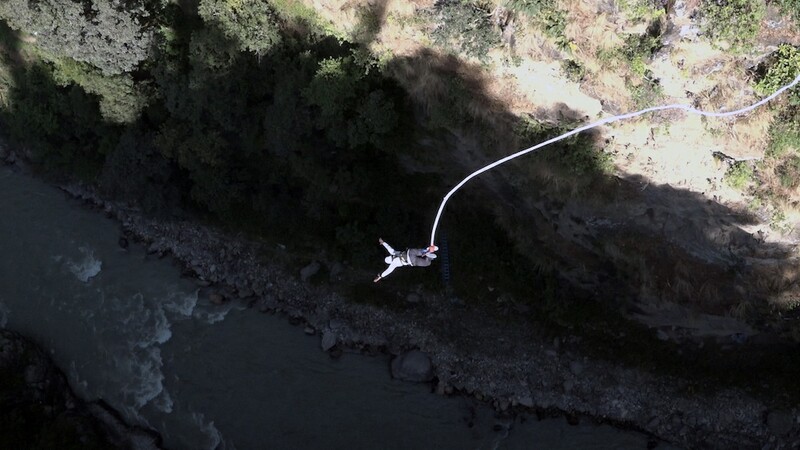 Aya (Squad Manager) bungee jumping over the Seti River. The Serenity: While Nepal is an adrenaline junkie’s heaven, it’s also known for its serenity. As the birthplace of Buddha and home to Hindu sacred sites, Nepal is considered a spiritual place by many and it’s a place where people go to find peace of mind, from massages to meditation and yoga. The #BugSquad finding ourselves in Nepal. The Food: We love to eat and we’d be lying if we didn’t anticipate the delicious food Nepal has to offer. The country’s cuisine is influenced by neighboring countries, India and China, giving you a wide array of options. From curries to daal, momos, chow mein, and freshly-baked naan, Nepal is perfect for Asian food lovers. 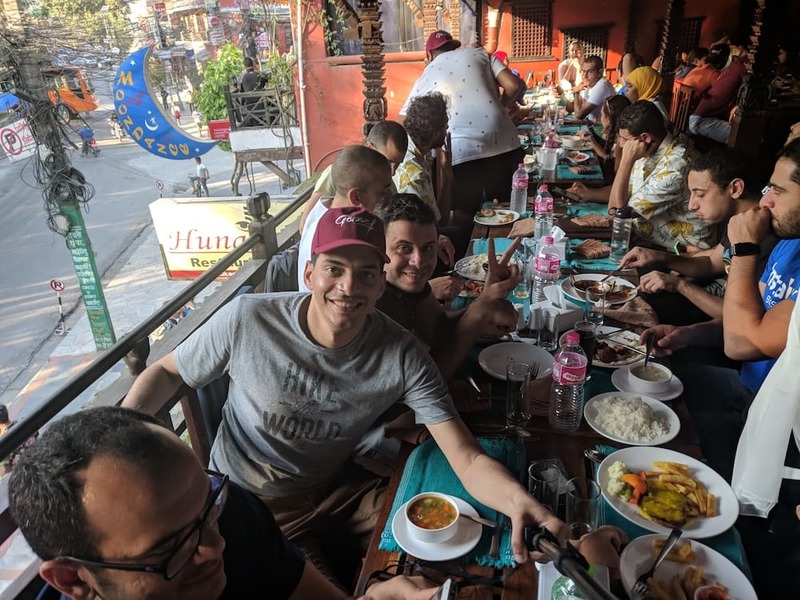 Amr (Android) and Aboelnaga (Frontend) with the #BugSquad having lunch in Pokhara, Nepal. 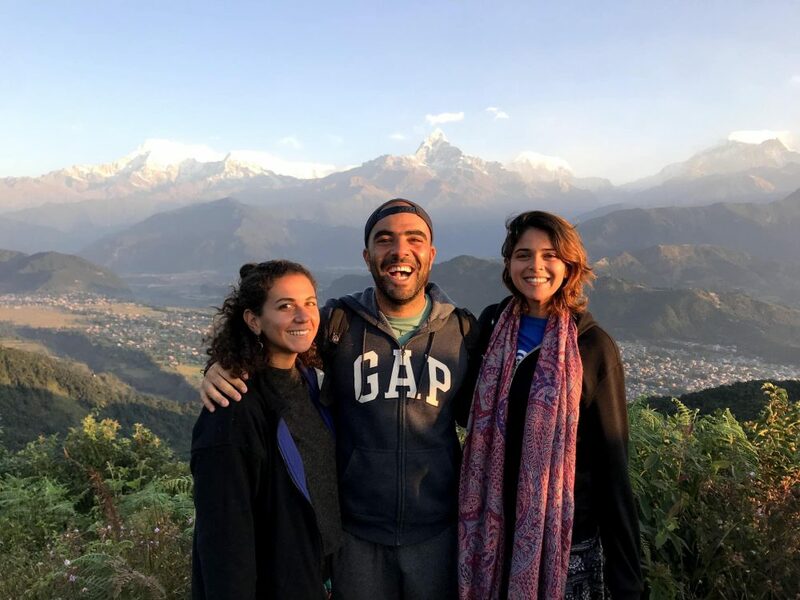 What Did We Do in Nepal? With a team of such diverse tastes and personalities, we wanted to make sure that everyone would be comfortable and enjoy the entire trip. With Gazef’s help, each #BugSquad member got to mix and match between optional activities, so some of us got to have an extremely action-packed week, while some of us chose to just chill and go with the flow, and others were in between. Meanwhile, we all shared massive team meals, hours-long bus rides, and nights that turned into early mornings that brought us closer together. Day 0: The #BugSquad met up at the airport and headed out on an adventure of a lifetime. 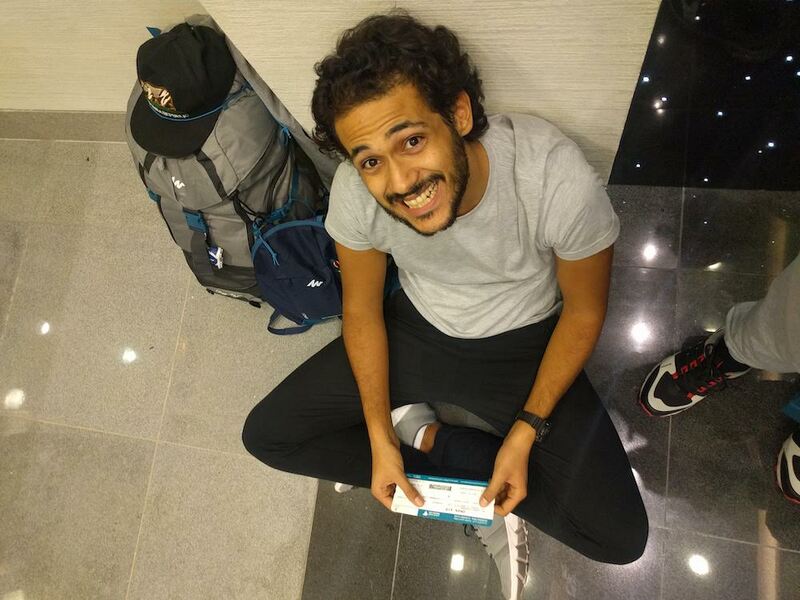 Anwar (Growth Marketing) waiting to board our flight in Muscat, Oman. Day 1: We arrived at Kathmandu airport and took a bus to Tatopani, a remote area right by the Nepal-Tibet border. We had planned for the rest of the day to just be free for everyone to chill and relax after the long flights and bus rides, but some of our team members being who they are, they just couldn’t wait to kickstart the adventure and make the most of our time there. So we headed to the nearest waterfall (because that’s something you can totally casually do in Nepal) and jumped into the freezing melted ice water (because that’s how we commit). Chasing waterfalls in Tatopani, Nepal. 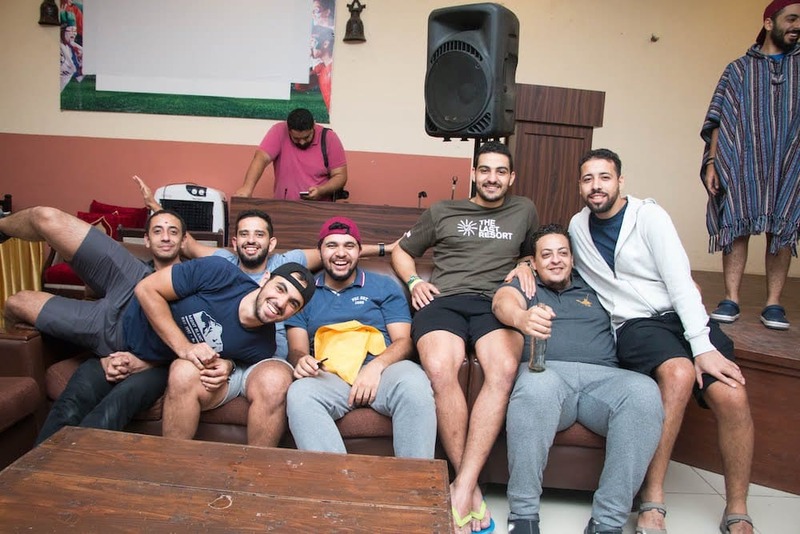 Gaber (Frontend), Moataz (CTO), Hesham (Mobile), Seif (Customer Success), Omar (CEO), Bassell (Frontend), Menna (Frontend), Ziad (Sales), Nagy (Android), Khorazaty (Customer Happiness), Khaled (iOS), Fayza (People Operations), and Safaa (Design). Day 2: In terms of activities, the day included 160-meter bungee jumps, canyon swings (the highest in the world), canyoning through remote gorges and abseiling down waterfalls, an outdoor group session led by Gazef’s in-house yoga guru Hana ElRamly, and a sunset hike through a local village up to one of the highest viewpoints in the region. 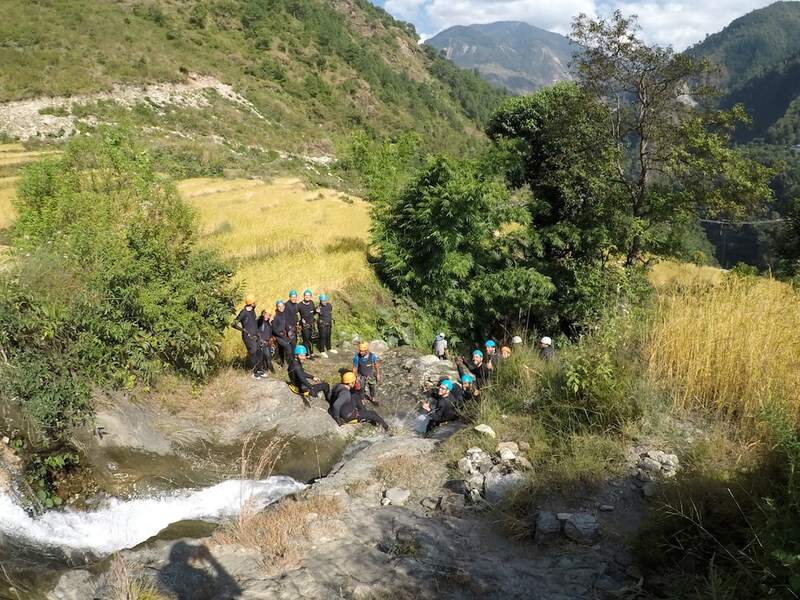 The #BugSquad canyoning in Tatopani, Nepal. Day 3: We bid our farewells to Tatopani and headed to Pokhara, Nepal’s second-largest city. On the way, we stopped to go whitewater rafting through class III and IV rapids in the Upper Seti River. In between the roller coaster drops of the rapids and bursts of friendly team competition, we marveled at the Annapurna mountain views, narrow suspension bridges swaying in the wind, and riverside waterfalls. Safaa (Design) and Aya (Squad Manager) racing down the Upper Seti River in Nepal. Day 4: Our second day in Pokhara, which some of our team members called “the Dahab of Nepal”, included an unforgettable sunrise that the team woke up at 4AM to experience, 1,800-meter long ziplining with a 2,000 feet vertical drop at 120 KPH, tandem paragliding over Phewa Lake, and a sunset boat ride on the second-largest lake in Nepal. 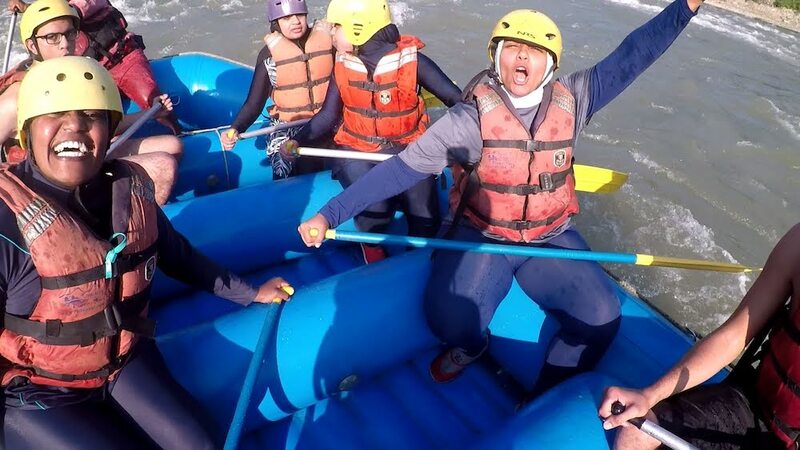 Iman (Customer Success) conquering fears over Pokhara, Nepal. 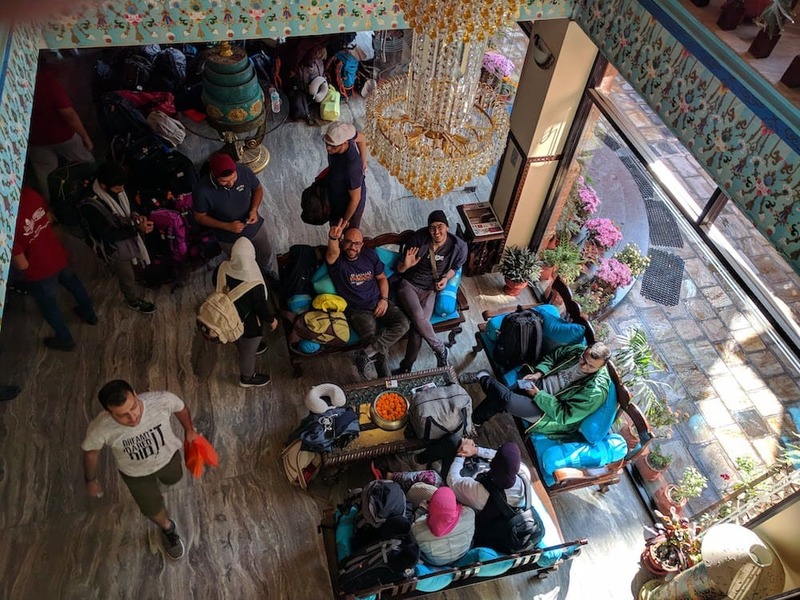 Day 5: We set off from Pokhara back to Nepal’s capital city, Kathmandu, where the team spent the day exploring, doing some shopping (gotta buy those souvenirs for everyone), and getting massages. Then we had one final dinner together, which was accompanied by a show of traditional Nepali dancing and celebrating one of our #BugSquad member’s birthdays. Celebrating our last night in Nepal. Fathy (Backend), Rafik (QC/Test Automation), Yakan (iOS), Joe (iOS), Zamzamy (Growth Marketing), Yasser (Agile), and Maghraby (Backend). 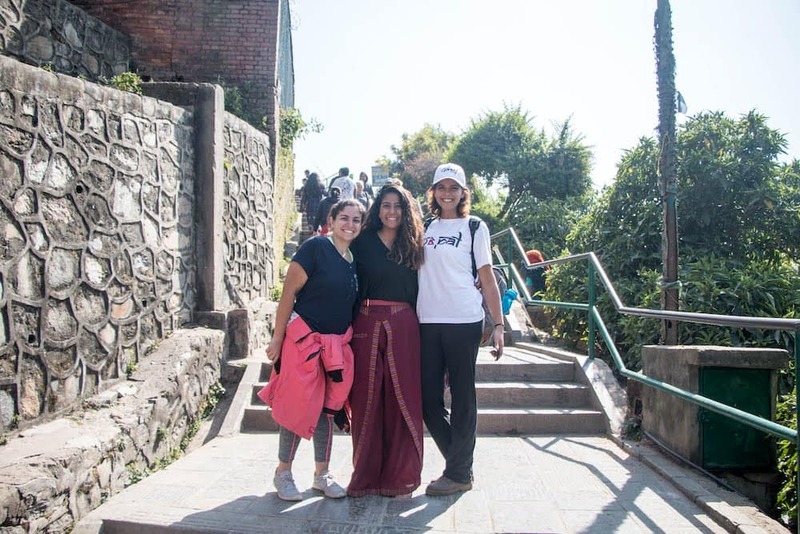 Day 6: The retreat ended with a visit to Swayambhunath, also known as the “Monkey Temple”, which houses an ancient collection of shrines atop a hill overlooking the Kathmandu Valley. There, we explored one of the holiest Buddhist sites in Nepal while enjoying the incredible panoramic views. Then, overwhelmed with amazing memories, we headed to the airport and hopped on a plane back to Cairo. Visiting the Monkey Temple in Kathmandu, Nepal. Salma (Cross-Platform), Fayza (People Operations), and Farah (People Operations). Why Do We Do Annual Retreats? Team bonding at Phewa Lake, Nepal. Bassell (Frontend), Mona (QC/Test Automation), Anwar (Growth Marketing), Hagar (QC/Test Automation), Nagy (Android), Menna (Frontend), Yasmine (Growth Marketing), Aya (Squad Manager), Nadine (Product), Seif (Customer Success), Hoss (Growth Marketing), Aprille (Content), Ziad (Sales), Moataz (CTO), Fathy (Backend), Donia (People Operations), Omar (CEO), and Sarwat (Sales). Team Bonding: Team members interact with others who they have never talked to before, even though we’ve been in the same office together for a year. People get to know each other outside of a work context and go through events together that become shared memories and inside jokes back at the office. It’s all about sharing remarkable experiences that bring our team together like nothing else could. Motivation: As we previously mentioned, the retreat reflects our “Play Hard” value, which eventually helps team members with the “Work Hard” aspect. Once the retreat is over, we come back to the office energized and excited to collaborate and tackle new challenges together. Break the Routine: Traveling helps break the daily routine that people get accustomed to and fosters creativity by giving us a fresh outlook. Break out of the Comfort Zone: If traveling to a different continent that you’ve never been to before with a group of people that you usually only interact with in a work setting isn’t taking you out of your comfort zone, we don’t know what is. Besides team bonding, the retreat exposes coworkers’ hidden talents, allowing us to discover new things about each other and even about ourselves. Last year, for our first-ever retreat, we decided to gather the #BugSquad of around 30 people and headed to Beirut, Lebanon. It was a huge success, to say the least. 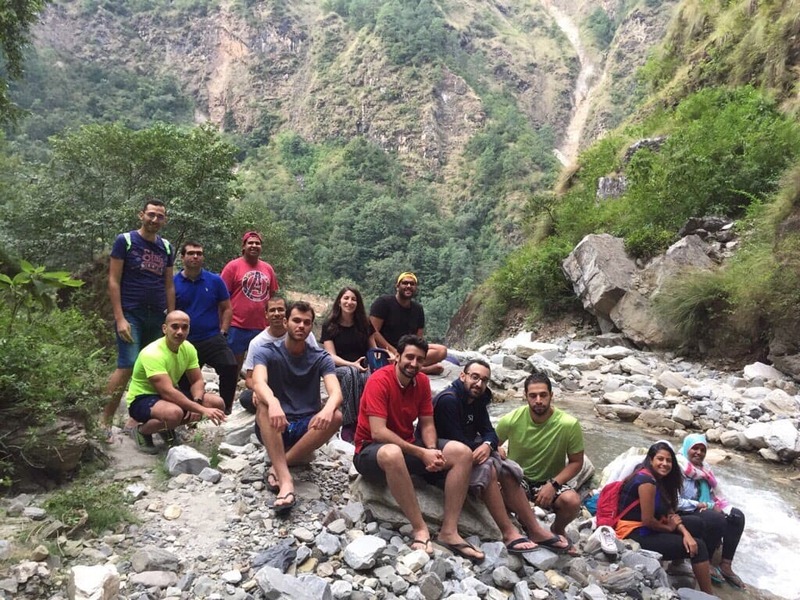 However, this year we had doubled in size with about 60 team members going to Nepal. So instead of handling everything ourselves in terms of the itinerary, accommodations, transportation, travel visas, and everything else related to planning and logistics, we decided to rely on the help of professionals. Gazef’s mission is to redefine traveling into an adventurous quest that is destined to change one’s mindset and help them see the world from a new perspective. These are people who know what they’re doing, who have traveled to many places countless times with diverse groups, and know all these different places inside out. That’s why we knew that they could deliver the best experience for our team, and they did. We highly recommend traveling with Gazef. The people behind #InstabugRetreat18 in Sarangkot, Nepal. Hana (Gazef), Omar Galal (Gazef), and Farah (Instabug People Operations). Finally, we would like to thank our amazing People Operations team, Gazef, and everyone who helped make this incredible experience possible. We can’t wait for next year’s retreat and to see what it brings! For more photos from #InstabugRetreat18, check out Instabug on Facebook and Instagram, and make sure to also follow us on Twitter and LinkedIn as we post all of our news and updates there as well as on our Instabug Blog. Want to join us on our next retreat? If you think you would be a perfect fit for Instabug, the company culture, and our #BugSquad, we’d love to meet you! Check out our current job openings and Apply Now.